There is a gap next to the ac that I need to cover. I have a lot of drafts with my widow units, thought I'd give this a try. To keep hot air and bugs out of the house. To keep out drafts for the winter. I keep my air conditioner in the window all year round. Helps keep the drafts out. Perfect for installing window air conditioner in my home. Need these to keep cold air out. Exactly what I was looking for.I could not find anything like this in Lowe's or anywhere else. We need these for 2 air conditioners, hoping it will be useful. Hopefully this will work to replace the cardboard I usually use with my window units. Hope is to not have to remove air conditioner during the winter if window is insulated. 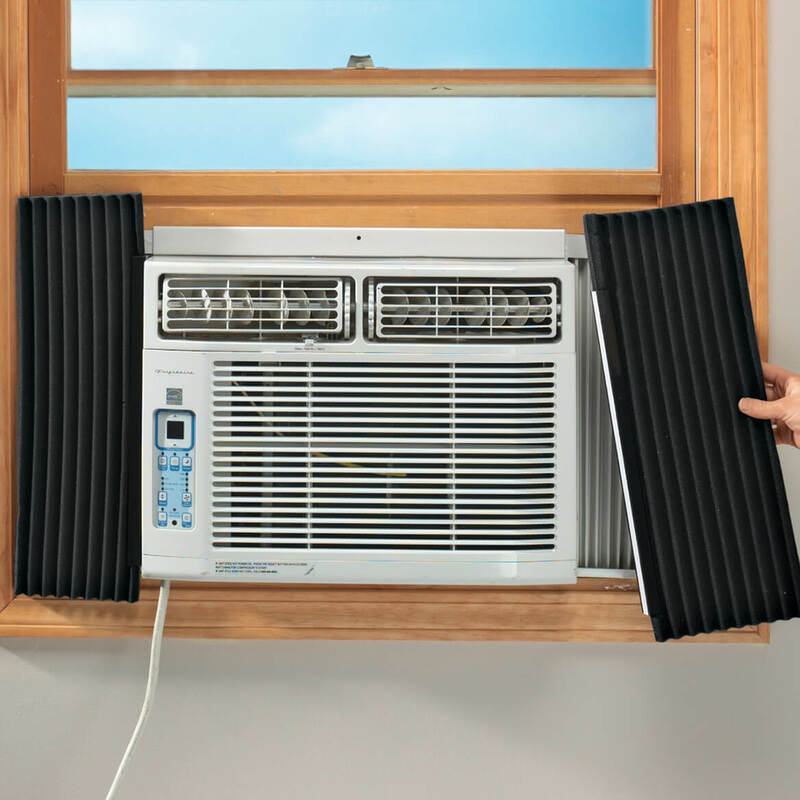 Need this type of product for window a/c. Last winter I ordered the air conditioner covers from you and was very pleased. I am in hopes that this product will help me to better conserve energy like the last product did. Help keep out cold air, work great. I hope this will keep air from seeping in and leaking out. And keeps bugs from getting into the house. to keep the cold out. I thought this might help in keeping out the drafts! I need them to insulate the sides of my air conditioner .I didn't have them last winter and alot of cold came in.I am 85 so can no longer take my AC out. I have window air conditioners and a lot of cold air comes comes through, around them. I hope that these panels will block the draft. I have to replace the present ones, had them since 1997. A friend of mine recommended it and was very happy with it. This should help seal up our A/C, and hopefully, help it to work better. I purchased these items because our units were old and they need to be reset in the windows. Summer is not here yet, but I believe this will do the trick for me. Will be in touch. Help to prevent bugs from entering, prevent air from going outside of room. The current air conditioner panels has deteriorated. AC window unit still works great except that the side panels no longer want to stay extended without duct taping them to the wood frame of the window. Been looking for something to try. Great item for keeping the cold out. I purchased these items to keep the kitchen warm around a window air conditioning unit during the winter. BEST ANSWER: We did not use window air conditoners this summer, as it was a cool summer in Port Washington, Wisconsin. They are packed away, so unfortunately I can't answer your question as to who the manufacturer is. Sorry. Thank you for your question. Unfortunately, we are unable to divulge manufacture information. We apologize for any inconvenience this may have caused. Just covered my AC today and found it worked for me. I didn't bother trimming as I wanted the extra protection from drafts. can you get wider ones? BEST ANSWER: Thank you for your question. 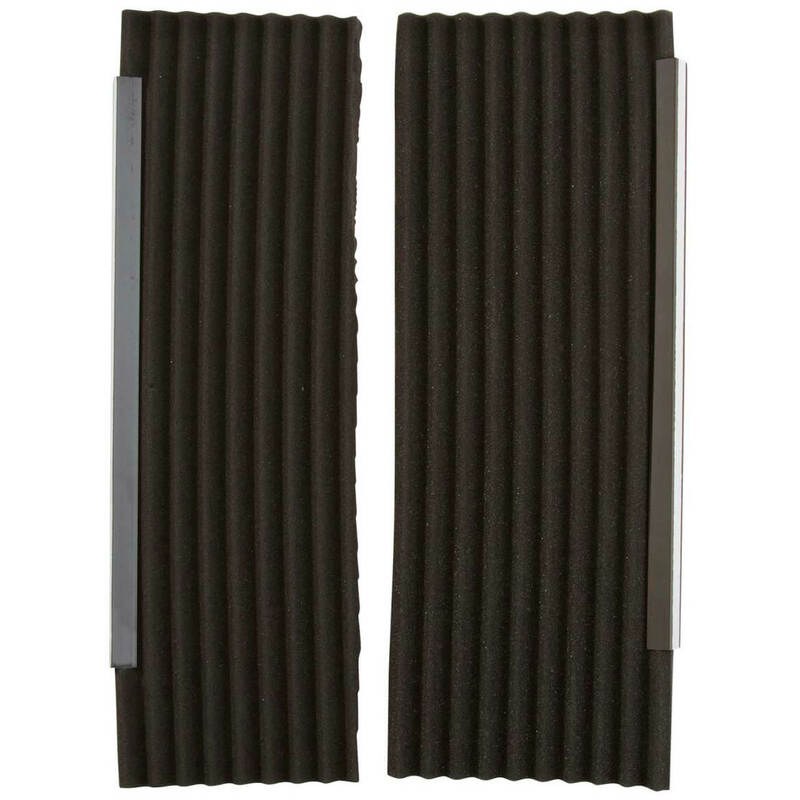 The Air Conditioner Side Insulating Panels measures 18" long x 8 3/4" wide x 7/8" thick. This item unfortunately is not offered in a larger size. We apologize for any inconvenience this may have caused.